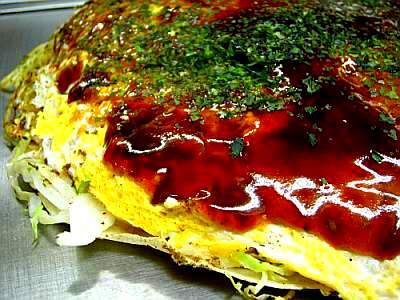 Monja-Yaki: The Tokyo’s Okonomiyaki ! Best Day in Japan ! Nothing could be more friendly than this invite! After a long game, cheering and singing, we were exhausted ! So, a good meal would make a perfect day. I can’t say we were lost, but i know Reon wasn’t quite sure how to get to the place he wanted. By the time we reached the restaurant, I was so hungry ! 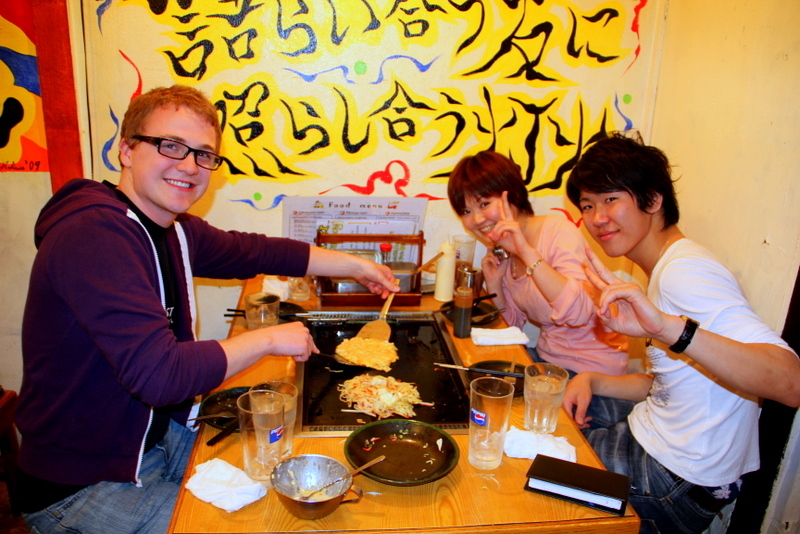 The main difference of this Tokyo food with the Hiroshima Yaki was that you cook your own Yaki, on your table. As you see Reon was doing it for us. I have to confess he was a great chef ! The food was just so delicious ! 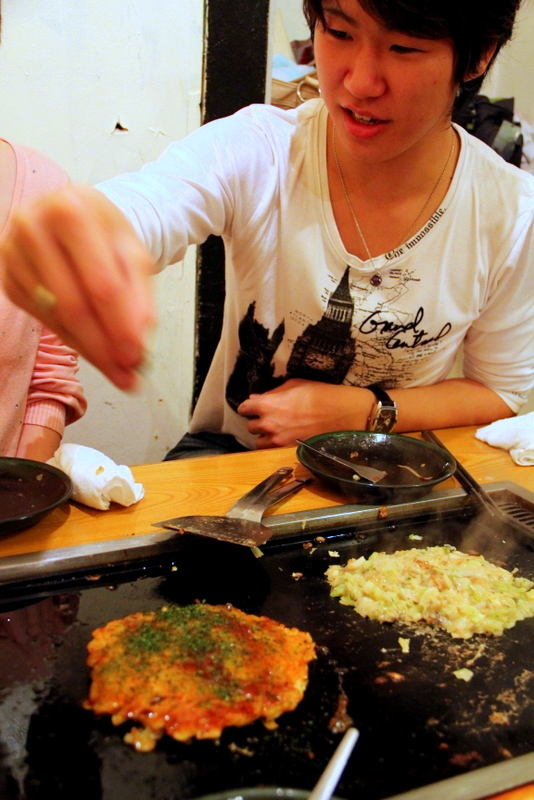 After few times ordering and cooking, Reon taught us how to cook a Monja-Yaki ! Here is Nicholas trying to do what Reon said. He did a good job. Yes, The Best Day in Japan… Thanks Reon. Okonomiyaki or, Hiroshima Pan cakes ! ‘So delicious,’ is the first word I say about it! This picture shows one of the best meals I had in Japan ! – Dear Mr. Chef, sea food only, I don’t want pork on my okonomiyaki! OK ? I watched the food getting cooked in front of. I was so hungry, and this looked very good ! Just a few minutes later, suddenly, I saw a huge peace of pork landing on my food! Me, Pvan, and Meri all screamed! He freaked out! Then I asked him to remove the vegetables on top, and cook new ones. The name is derived from the Japanese word ‘okonomi’ , which means “what you like” or, “what you want”, and ‘yaki’ meaning “grilled” or “cooked”. It’s basically all you want, but if you speak Japanese !